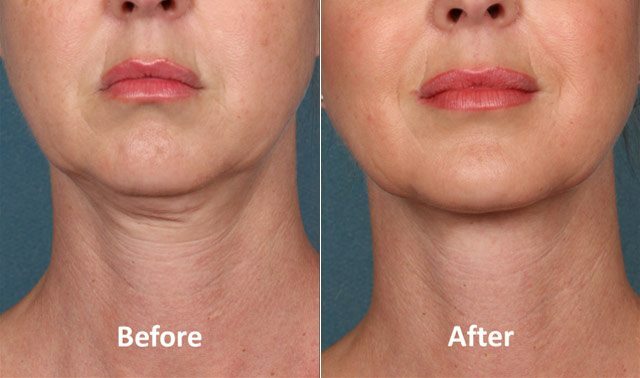 Kybella (deoxycholic acid) is an FDA-approved injectable treatment that we use for reducing submental fat, more commonly known as a double chin. Also, Dr. Munavalli served as a principal investigator in the clinical trials for Kybella. His participation makes him one of the most experienced Kybella injectors in the US and DLVSC one of the first practices to offer this groundbreaking treatment. All cosmetic injectable treatments we offer at DLVSC are performed by one of our board-certified providers, ensuring the highest level of safety and efficacy for our patients. You should have a consultation to ensure that you’re a good candidate; there could be underlying health concerns (e.g.- thyroid) that should be ruled out. Skin laxity should also be considered before this treatment. Kybella will reduce fat, but it’s not intended to tighten loose skin. Kybella isn’t recommended for women who are pregnant, planning to become pregnant or breastfeeding. What is Kybella treatment like? First, you’ll have a short “prep” period before treatment during which we’ll review the procedure with you & take a series of photos. If needed, we’ll then apply topical numbing to increase your comfort level. Next, we’ll put a temporary tattoo treatment guide on your skin. Your injections will then be performed using very small, fine gauge needle. Don’t worry, the injection portion of the treatment is very quick, taking no longer than 5 minutes per session. 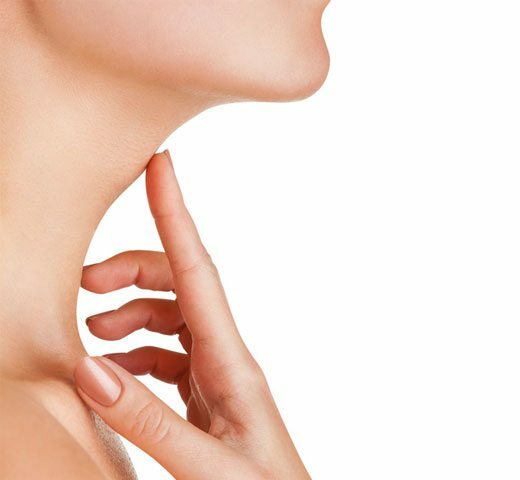 What are the side effects of Kybella? Any downtime? Some of the reported side effects with Kybella are redness, tenderness, swelling, bruising, and/or numbness in the treated areas. However, these side effects are very easily tolerated for most people. More than likely, you’ll experience some degree of swelling that can last anywhere from a few days to a few weeks. The potential for more serious side effects is very rare, however, uneven smile due to nerve injury & difficulty swallowing were reported in the clinical trials. Both of these complications quickly resolved on their own. Most people have very little downtime after treatment and return to normal daily activities right away. You should begin to see results around 4 to 6 weeks post-treatment, with most needing 2 to 4 sessions in total. You’ll be scheduled to come in for your second treatment around the same time when you should begin seeing results from the first. Each time you come in, we’ll take photos to assess whether or not you need another treatment. 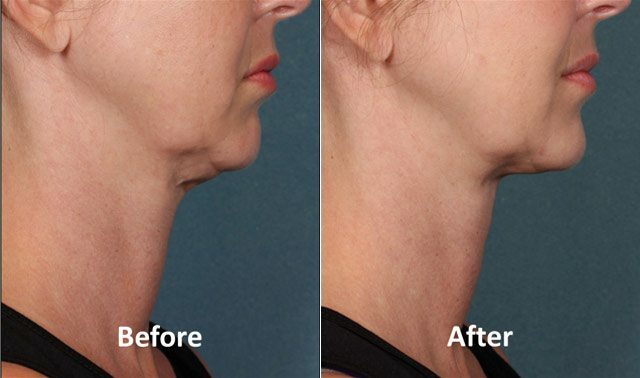 Kybella does destroy fat cells in the treated area, so the results are permanent. Are there treatment alternatives to Kybella? In fact, there are several procedures available for reducing unwanted fat in the neck area. For instance, CoolSculpting CoolMini and Liposuction are both treatment alternatives. Determining which one is the best option for you would be best decided in a cosmetic consultation with one of our board-certified physicians.